Gary Bettman - Should We Really Be Booing Him? BOOOOOO…Wait, Should You Really Be Booing Gary Bettman? Last week marked the 24th anniversary of Gary Bettman’s tenure as Commissioner of the National Hockey League. An incredible number of things have transpired since then in the NHL — expansions, franchise moves, lockouts, outdoor games to name a few — and through it all NHL fans have shown their “love” for Mr. Bettman every chance they get. In honour of Mr. Bettman’s continued tenure, we have decided to re-publish this great post from our own Matt Brauckmann, first published Aug. 10, 2014. He made some really good arguments almost three years ago, and they remain strong today. A few weeks ago I had the privilege of attending the 2014 NHL Draft in Philadelphia. The atmosphere was electric, fans packed every last row in the Wells Fargo Center. The Flyers public address announcer, Lou Nolan, took the mic to roll-call all 30 NHL teams. Each team was given a warm Philadelphia welcome — and then it was time to introduce NHL Commissioner, Gary Bettman. Every fan in the building, no matter what jersey they were sporting, harassed the Commissioner with relentless boos. In fact, the booing lasted during Bettman’s whole introduction speech…over two minutes. As the boos continued, I sat in my seat and posed this question to myself. Why exactly do hockey fans excessively boo Bettman? It seems to be the norm in every major sport, but in the NHL, it is much more severe. More importantly, are the boos deserved? Without a doubt, the first thing anyone thinks of when they hear the name ‘Gary Bettman’, is the 2,323 regular season games that have been lost under his tenure as commissioner. The first owners’ lockout during the 1994-95 season (468 games lost), the second during the 2004-05 season (1,230 games lost), and the most recent during the 2012-13 season (625 games lost). But is Bettman really to blame for all of this? Take the 2004-05 NHL lockout, specifically, before this lockout even happened. Player salaries were absolutely getting out of control, and quickly. To put things into perspective, Sidney Crosby was the NHL’s highest paid player last season, raking in $12 million from the Penguins. If you were to readjust for inflation, that would be about $9.5million in 2003. There were eight, yes eight, players in 2003 that made $9.5 million or more. Peter Forsberg and Jaromir Jagr topped the list at $11 million a piece (nearly $14 million in today’s market) and interestingly enough, just one player (Joe Sakic) who was in the top 10 in salary was in the top 10 in scoring — and he was nowhere close to Crosby’s point total this year. Nearly all of the players at the top of the list were on playoff teams, and big market teams that could afford to spend the money, creating a vicious cycle for teams in smaller markets. Is Gary Bettman To Blame? So can you really blame Bettman for losing 2003-04? There were owners in large markets who were being forced to pay absurd prices for players, and if they didn’t, they knew they wouldn’t be able to compete. And then there were owners in smaller markets who couldn’t pay large sums of money, and if they did, they wouldn’t be able to build a team around that player because all of their funds were exhausted (see Jaromir Jagr and the Washington Capitals). If the NHL continued down that road, there may have been some serious issues, and I can almost guarantee you that the NHL would not even have 25 teams, let alone 30. Believe it or not, the 2004-05 lockout did significantly more good, than bad, for the league as a whole. Just look at attendance. In the 2003-04 season, 11 teams had attendance below 15,000 per game, including two original six teams, Chicago and Boston. There were also only five teams that had an attendance of 100% or better. Fast forward to this past season and just five teams fell below the 15,000 per game line, and a whopping 14 teams sold to 99.9% or better — nearly half of the league. Rod Brind’Amour helped the Hurricanes win their first Stanley Cup. Can you really fault Bettman for wanting to change a flawed business model? I don’t think so. The NHL has prospered more than ever after it lost a whole season. The playoffs were immediately revitalized, and smaller market teams were now able to compete and have a shot at getting a top free agent, or retaining that top prospect that they developed. In just the first year the NHL returned, one of those small market teams capitalized and brought the Stanley Cup to Carolina. The Carolina Hurricanes are the only major sports team in the area, and it gave people something to get excited about, thus growing the game in an area you wouldn’t expect. More importantly, if you’re a fan of a team like Chicago, you should be thanking Bettman for what he stood for. Chicago was severely in need of something to kickstart the team in the mid-2000s. Attendance and the team were both horrible. Had the NHL still been on the business model it was following in the early 2000s, it’s very feasible that the Hawks would not have had the money to retain Jonathan Toews and Patrick Kane, the two cornerstones of what now is considered a dynasty by many. Gary Bettman knows how to run a business. You may see him as the man who took away the game you love for months at a time, but he ensured that he brought it back stronger and better than ever each time, and the model he worked for has the game healthier than it’s ever been. I still remember sitting at my dining room table and reading the sports section of the Philadelphia Inquirer after the lockout ended, the headline read “NHL Signs TV Deal With OLN”. Who? What’s an OLN? The Outdoor Life Network was buried on your TV guide somewhere, if you were lucky. OLN was only in 64 million homes, a much smaller amount than the NHL’s previous TV partner, ESPN. The deal was for three years, $207.5 million. Little did anybody know, this was the best thing Bettman could have done for promoting the game. Outdoor Life Network is owned by Philadelphia-based cable company, Comcast. The terms of the deal with OLN included Comcast devoting $20 million a year to promoting the NHL, Comcast would now carry NHL Network, post Video-On-Demand highlights of games, and it also offered up to two games per night streaming over the internet (you can read the full terms from Sports Business Journal here). The most important part of the deal was that OLN had exclusive games on Monday nights, and would televise up to 78 regular season games per year. In the previous season, ESPN had televised just 20 nationally. ESPN reached a lot more homes, but they did not give hockey the time of day that it needed. They did not promote the game like they should have, and a lot of great playoff match-ups were pushed to ESPN 2, which not as many people watched. Moving to OLN gave the NHL breathing room, room to expand and have a network devote plenty of coverage to the sport. They also had the added benefit that Comcast was growing rapidly, and further down the line, would be able to promote the game much better than ESPN ever did. Most importantly (and my favorite) is the fact that NBC utilizes all of their networks so that during the playoffs, every single game is nationally televised. It gives the NHL Playoffs a sort of March Madness feel, especially in the earlier rounds. NBC Sports also provides great analysis and coverage with NHL Overtime, along with televising events like the NHL Draft and NHL Awards. It’s something that the NHL would have never been able to accomplish with a partner like ESPN. Once again, this growth can be attributed to Mr. Bettman and what he has done to grow the game. Oh, and in case you were wondering, that $207 million dollar deal, blossomed into a 10 year/$2 billion deal that the NHL inked with NBC in 2011. 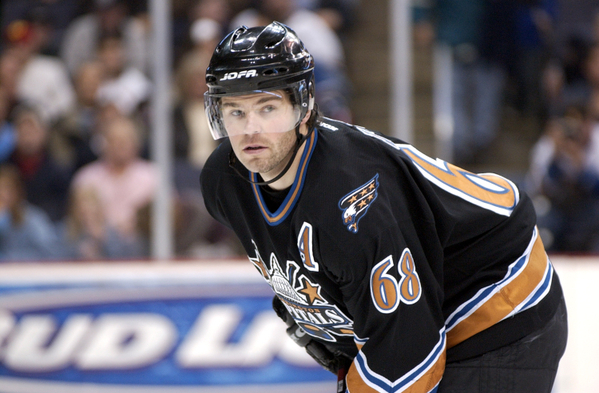 The NHL ushered in some previously unused tactics in sports media after the lockout in 2005. First and foremost they started posting highlights from every single game played, on Youtube, and yes, I mean every single game. If I wanted to go back to 2007 and look-up the highlights from a game between the Penguins and Capitals, I can do it. Hey @espn, thoughts on showing more hockey highlights? Congrats to our BFFs, the @LAKings. One heck of a run. Now get that parade over with so we can go to Disney World. It may be just a post on the internet, but even smaller things will get people creating a buzz. Social media is one of the fastest ways to get new fans and the NHL made no mistake about it. The NHL has also made their videos and highlights available to anyone to use. People are allowed to freely create their own videos using NHL content. It has led to many well-produced videos by users (like the one below) and even allowed users create things such as a video database of fights, as well as things such as top-10 highlight reels. Some of these videos get hundreds of thousands of views. 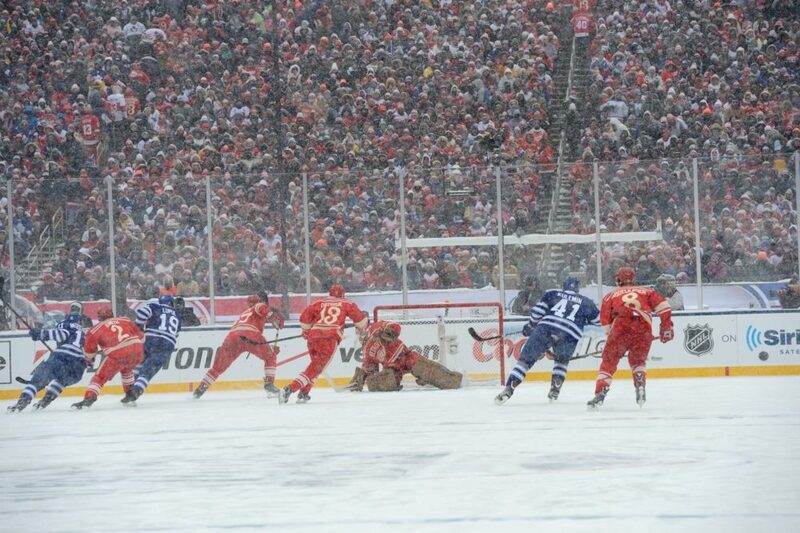 The Outdoor Games. It’s as simple as that. In the 20-plus years that the Commissioner has been at the helm, it is the single best innovation he has brought to the table. The Winter Classic has grown since 2008 and become an overwhelming success. It has hit historic ballparks such as Wrigley Field and Fenway Park and has packed 110,000 fans in the freezing cold snow to proudly sport their teams’ colors. A surreal-yet-satisfying view of the Dodger Stadium field. Credit: Walter McLaughlin (own work). It is an event that is unmatched all across sports and it is the brainchild of Gary Bettman. It brings attention to the NHL during a time when the casual fan may lose interest. I attended the one in 2012, and I can speak for anyone who has been to one, it is a once in a lifetime experience, and it brings you back to hockey’s original roots. Bettman even built on the idea this past season with the Stadium Series. 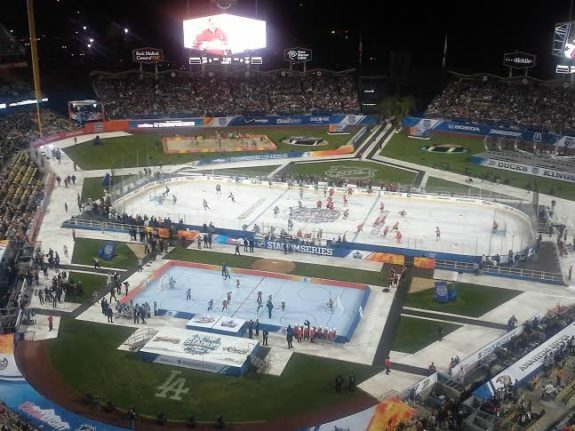 This transformed Yankee Stadium, Soldier Field, and defying all odds, Dodger Stadium, into hockey rinks. Seriously, who puts a hockey rink in 75-degree weather? Gary Bettman does. And it succeeded with flying colors, well, maybe not for Kings fans. Innovation doesn’t stop off the ice either. When the NHL resumed in 2005, Bettman had helped to usher in a whole new set of rules to improve the quality of the game. Far and away the best thing he did on the ice was to take the red line out of the game. Prior to 2005, the NHL had the two line pass, meaning that no team could stretch the ice. The neutral zone could easily become a trap (something the New Jersey Devils mastered, helping them to win two Stanley Cups) and players could not use their speed to beat a big, slow defender. Removing the two line pass opened up the ice and allowed players with speed to excel and become scoring threats. It also opened up the game to more big hits, giving the fan more entertainment in every aspect of the game. 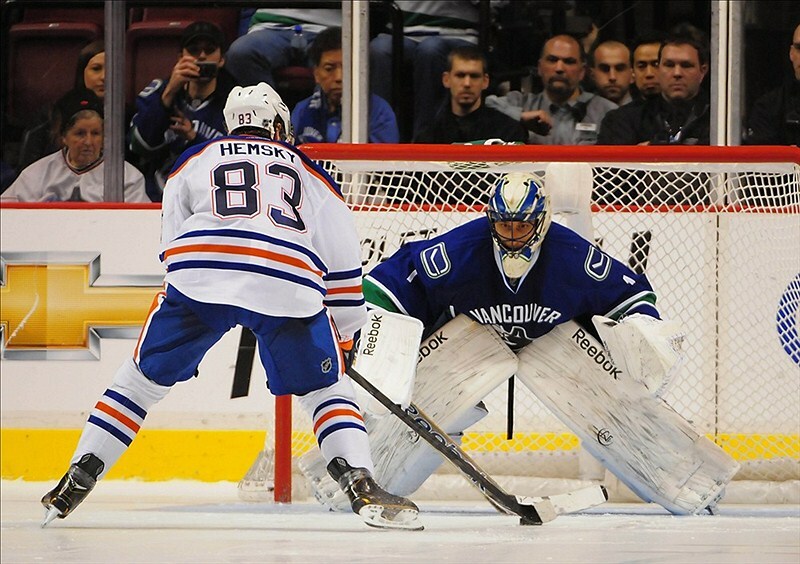 Last, but certainly not least, how could anyone forget about the shootout? Aside from head injuries, it has become one of the most controversial topics in the NHL since it was implemented in 2005. 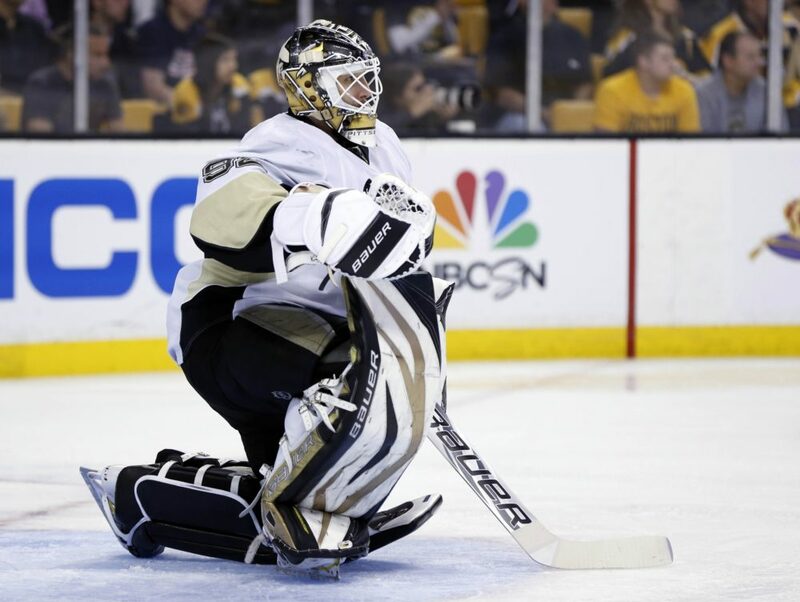 Many fans argue that it is not representative of the game itself, merely a skills competition, throwing 65 minutes out the window for three shooters each, 1 on 1 with the goalie. Those people are right for the most part, but you have to ask yourself, would you rather have a tie? I’d be willing to bet that answer is no. At the time the shootout was implemented, there wasn’t really another viable option, it was the best option. It’s also hard to imagine the NHLPA would ever agree to expanding overtime. The players are subjected to enough wear and tear playing 82 games a season, and adding another five minutes added could really put a strain on some players. It may not seem like much, but for a team like Washington who played in 21 shootouts this year, those extra five minutes could possibly add 105 extra minutes on to a season. That’s nearly two games, and a lot extra playing time when the team needs that extra jump heading down the stretch. And of course, the shootout lets some of the NHL’s best players show off their moves. Few things in the game are as exciting as watching Pavel Datsyuk or Patrick Kane 1 on 1 with the goaltender. The shootout brings excitement, eliminates ties, and showcases skill. It’s another good innovation from Bettman. So next time your favorite team is about to hoist the Cup on home ice, and the commissioner comes out to present it, make sure you give a second thought to letting it rain boos on him. Without him, you may never have even been lucky enough to watch a champion. All of these things have been compiled into the game you see on the ice today. The game is quicker than ever, upsets are commonplace, the NHL has made itself very marketable, and things fans could only dream of have become a reality. The game is arguably healthier than it has ever been, and it shows on the ice and at the box office and all of that has happened on Gary Bettman’s watch. So, once again, I ask you the question. Should you really be booing Gary Bettman? The answer should be pretty clear cut. If you enjoy an unbalanced league, the same teams in the playoffs every season, slower paces, ties, shoddy national TV coverage, and low scoring games, then boo your heart out when Mr. Bettman takes the podium. However, if you enjoy the product that is on the ice right now, the way the game has grown to non-traditional markets, the high skill level, the high paced atmosphere, and everything else that the game has produced in recent years, then by no means should you be booing the commissioner when he hands the captain of your favorite team, Lord Stanley’s Cup.